… and many more. 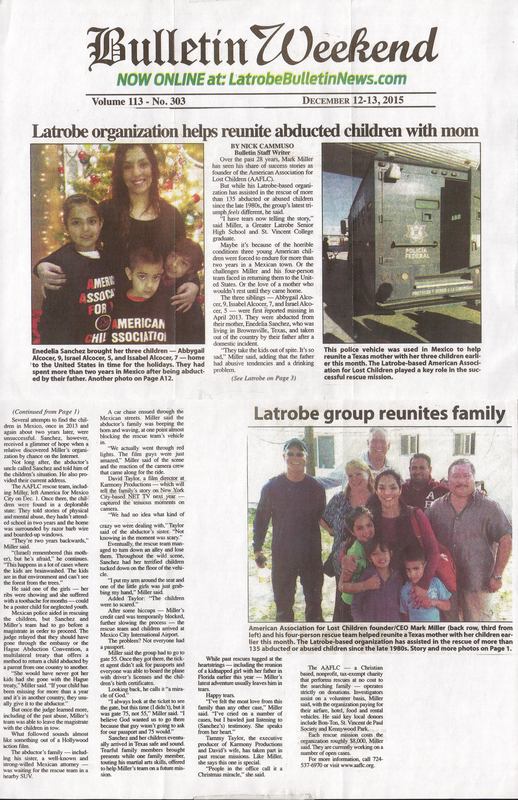 AAFLC has appeared in numerous newspapers and magazines for finding and rescuing missing children. Our recognition can be attributed to the fact that we are the original charity to physically find and rescue the missing children, as opposed to simply telling the world about a problem.